Essential Products is not currently for sale, however cancels plans to develop a new phone. The company has hired a financial firm in order to help advise it on a potential sale or merger. 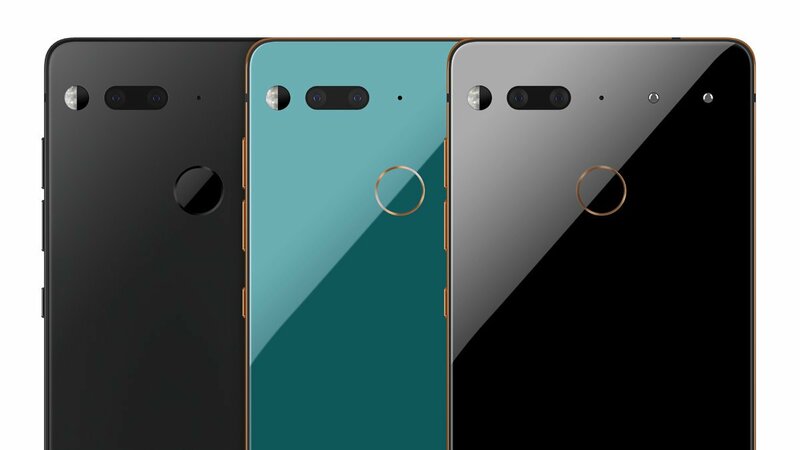 Rumor's say Essential has already received interest from one possible buyer. Essential, part of Andy Rubin's Playground Global announced the Essential Phone at about this time last year. The phone was unique thanks to its ceramic design, all screen face, and magnetic mod system. The phone was sold by Sprint in the U.S., and unlocked directly from Essential. The $700 device struggled to find buyers due to poor camera and call performance. Bloomberg's sources suggest as few as 150,000 Essential phones have sold since its August 2017 launch. Essential raised around $300 million in funding and spent about $100 million of it developing the Essential Phone. The company is exploring a sale of the entire company, including hardware, patents, a smart home product, and a camera attachment for the phone. He suggested an acquisition might be part of such discussions. Essential has raised more than $300 million.